Lezyne's Super GPS is a likeable and good value unit with a good battery life and lots of connectivity. The app and web portal let it down a bit, but overall it's a very good package provided you don't want to plan long rides with turn-by-turn routing, or at least are prepared to jump through some hoops in order to do so. The GPS itself is a small unit (42.9mm x 67.8mm x 27.5mm), a bit smaller but a bit deeper than a Garmin Edge 520. There are four buttons, two on each side, which control all functions and menus, and an LCD screen in the middle. A covered micro USB port on the bottom takes care of charging and connecting to the PC, and there's Lezyne's own twist mount on the back. It's probably the most secure of any, requiring a firm push and twist to lock, but it's a bit fiddly to use and takes some getting used to. The buttons are fairly small and sometimes a bit hard to locate in gloves, but they're generally okay in use. It would be helpful to have up and down arrows printed by the buttons that do that in the menus; the buttons have arrows imprinted in the rubber but you don't look at the buttons when you're using them, so that isn't helpful. The Loaded bundle includes both a stem mount and an out-front mount for the computer. Both work well, although the out-front one wasn't quite offset enough to get the computer central on my bike. If you're a bit OCD about these things that might get your eye twitching, but functionally it's fine. The box also contains a heart rate strap and a speed/cadence sensor. They're both Bluetooth; the Super GPS can connect to both Bluetooth and ANT+ sensors. The HRM chest strap is a pretty standard bit of kit – save for the fact that the sensor pod is translucent red – and the speed/cadence sensor is the classic design with the chainstay-mounted cadence sensor and articulated arm for the wheel magnet. They were both pretty easy to set up and pair, and I didn't really have any issues with either. You can display lots of information on the Super GPS. There are five data screens available with up to eight data fields each, which means you can monitor up to 40 metrics of the 48 available, not that you ever would. Realistically, the size of the screen means four or five fields is the useful maximum, and I tended to spread the things I like to see between two screens of three or four fields, just so the numbers were a bit bigger on screen. On top of that, if you're following a route you'll get a screen for turn-by-turn navigation (if you've got that) and a map screen with a line to follow. Turn-by-turn announcements also pop up over the other screens. Realistically, you're going to want to pair your phone with the Super GPS, because that opens up a bunch of functionality that you otherwise won't get. The phone app is decent enough, although I'd like to see Lezyne work on the speed and stability of the uploads, which are much slower than Garmin, for example, for a similar amount of data. Routing on the phone app is a bit basic: tell the app where you want to go and you'll get a couple of options for how to get there. If you're a bit stuck and lost it might come in handy, and I also used it for journeys to places nearby where I wasn't sure of exactly where my destination was, but realistically it's not how you'll be doing your route planning, most of which will involve circular routes from a base. The routing on the GPS Root website is a bit better, but still pretty clunky. You have to set all your waypoints and then calculate the route; the system will give you a couple of options but you can't drag the route around like you can in Strava. Moving the waypoints around means editing and dragging, then recalculating. If you want to add a waypoint in, you need to add it at the end, then move it up by clicking arrows in the list. Overall I'd class the interface here as poor. It needs work, and although I've created some short routes it's an ordeal to do anything over about 50km. You can do your route planning elsewhere and just upload a GPX or TCX file, but you don't always get the turn-by-turn instructions that way. 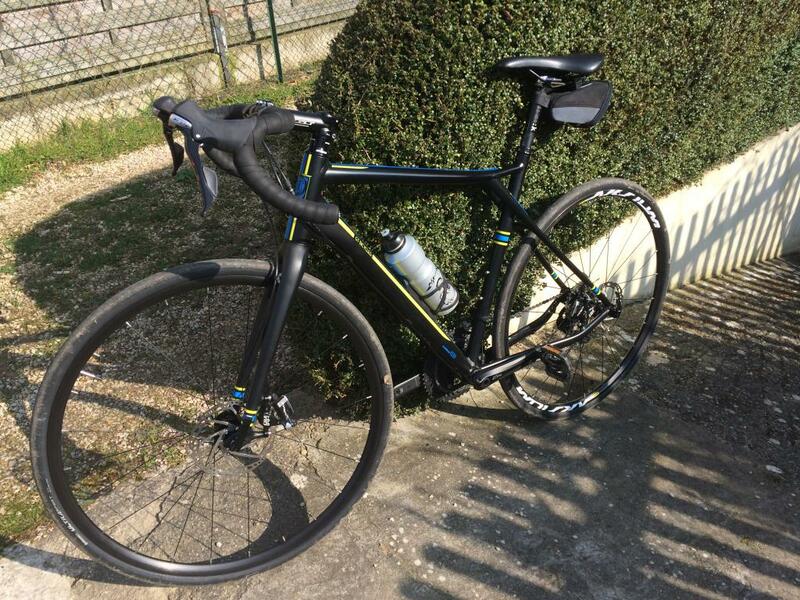 Strava GPX and TCX files just give you the route, although there are other routing websites that will work: RideWithGPS TCX files import just fine with instructions, and the route planning on that site is very good. Anyway, the bottom line here is that if you want to create routes to follow then the Lezyne portal is quite a long way from being your best option. The turn-by-turn instructions on the Super GPS are pretty good. You'll need your phone to be paired with your unit, and you elect to follow a route on your phone. Once you've done that the Leyzne will guide you to the start of the route, or navigate you round it if you're already on it. Turn instructions mostly come up in plenty of time and you get audible warnings of a turn too. One thing that doesn't really work well is roundabouts: you get an 'enter roundabout' prompt, then an 'exit roundabout' one only when you're on it, which is too late. The routing doesn't tell you which exit to take either, only how far it is. Basically, have a good look at the route before you get to the roundabout. The same is true for staggered junctions: you don't get much warning of the second turn. Again, best to be on the route screen. If you go off course you can ask the Lezyne to re-route you. Again, your phone does this, and it requires a data signal, so if you're lost in the hills above Llanwrtyd Wells it's not going to be a lot of help. Assuming you have a connection, though, it works pretty well. I spent a happy hour deliberately going wrong and seeing what the GPS came up with. In all instances it was a route that would get me to where I was going, and in most cases it was a sensible route too. There was the odd anomaly but it would get you home in a fix. If you have a route in your Super GPS that you've imported from elsewhere then following the line is pretty simple and works as well as it does on a Garmin. There's no map, of course, and acute junctions can be a bit trial-and-error, but generally speaking it's easy enough. If you head off-route the Lezyne boots you back to the overview of the route, but you can click back to the follow page and see where you are in relation to where you should be. Lezyne's app and desktop portal play pretty nicely with Strava and TrainingPeaks; if you sync your Strava account then you can sync your rides on upload, so you don't need to go fiddling around in the portal every time. You can also sync your starred segments in Strava, and then you get some live information when you ride them: the GPS will tell you if one is coming up, and you'll get a distance to go and a timer on the segment. It's not as good as Strava's mobile app, which gives you a graphical representation of you versus your PR and the KOM, but it works pretty well. Battery life on the Super GPS is really good. Lezyne claims up to 24 hours of run-time; that's presumably with the backlight off, but I've never got anywhere even close to running the Lezyne down in a day's riding. You can charge it on the go, and the USB port is sensibly positioned to make that simple if you're running the stem mount; less so if you have the out-front mount as the stem plate is in the way. The battery life makes it a good option for audax and touring, and it means you can have it on your bike for ages before you need to plug it into the wall. The Lezyne Super GPS is good value for money. For the RRP of £200 you're getting good battery life, ANT+ and Bluetooth connectivity with sensors included, the ability to upload directly to Strava and to display Strava live segments, really good battery life... There's a lot to like about it, and you can pick it up for a good bit less than the retail price if you shop around. The Super GPS isn't quite as slick-looking as the cheaper Garmins but it's packing more in for the money, and functionally I didn't have any problems with it. 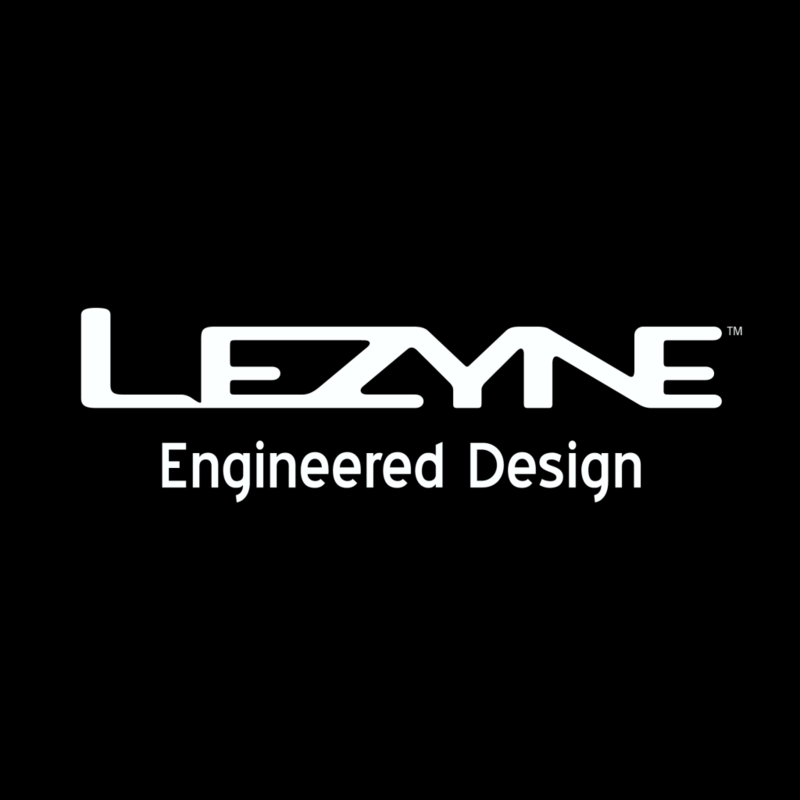 Lezyne says, "The Super GPS is an advanced cycling computer programmed with the latest technologies and interactive features. Designed and engineered in-house, the device was developed to enhance any type of cyclist's riding experience. It's complete with all of the basic functions one would expect from a GPS cycling computer, but with so much more. It can simultaneously pair with Bluetooth Smart or ANT+ TM enabled power meters, heart rate monitors and speed/cadence sensors, in addition to compatible electronic drivetrains. When paired with our free Ally V2 smartphone app, the Super GPS can then display incoming messages and phone calls, provide turn-by-turn navigation and be instantly customized. Live tracking (Lezyne Track) can also be activated in the app to let friends and family follow rides in real-time. Furthermore, the device is equipped with GPS and Glonass chips, a barometer and an accelerometer. Combined, these greatly improve accuracy and data recording. And with best-in-class battery runtime of up to 24 hours, the Super GPS is a complete cycling computer ready for any cycling adventure." Early days, but all looking OK so far. Very well: easy to use, long battery life. The supporting app and portal need a bit of work. Battery life, turn-by-turn works well, good value. App and portal need an overhaul. Did you enjoy using the product? Yes, except when I was trying to create a route. The Super GPS may not be flashy but it packs a lot in. It's still rough around the edges but recent firmware updates have made it a lot better. Now Lezyne needs to do some work on the accompanying app and portal. I cannot compare to the Garmin but the Lezyne never let me down. It just works, no battery or connection issues, Bluetooth or Ant+, cheap chinese sensor or the 4iiii powermeter. It is maybe not a very sleek user experience in the beginning, and not so streamlined, more rough on the edges. But together with the phone you have everything you need: data on the GPS unit, and a new route back home when you had enough. Contrary to the reviewer I am using a 8 data screen, it is quite readable for me. I've been using one for about 6 months now and would echo most of what the review says except for the navigation. If you upload a .tcx file from Ride With GPS you get turn by turn navigation. You only need to have your phone paired to the unit for a few seconds to transfer the route data then you can impair if you want (although the pairing uses next to no battery from your phone - less than 2% on an 8 hour ride and that was including pushing messages). The negatives points for me are the way it displays the turn by turn; it gives you the cue plus the next cue (a nice idea) but the screen isn't big enough to display all the info so it gets a bit garbled - turn right rt496 to turn rig -, although you do get used to it. And I've found the temperature to be a bit wonky - it seems to read a couple of degrees high (although that could just be the heat radiating from the mess propelling it). Lezyne have done a good job of adding features since I bought it and I'd like to see some kind of audio alert with turn by turn and an elevation profile on routes. It does have audio for turn by turn, so either you don't have it on the settings or there is a hardware fault. The latest android app version has awful reviews including having to set your phone to last month due to a certificate error on the lezeyne site. Any idea where the setting for that is? I've been through the menus and googled it but not found anything. If it's automatic with having the sounds on I guess I'll try resetting it. 1. Navigation never worked properly and certainly not anything beyond about 20 miles. Not everything from Strava or Ridewithgps worked on it either. On the Lezyne, navigation has never failed me. Agree you need to use Tcx files but that was also the case with Garmin. 2. Frequent connection failures when uploading routes. A nightmare of constant repairing with phone. I have never had an issue with syncing routes post-ride with the Lezyne. It starts as soon as I hit "save" route. I find many of the negative comments without merit. Example: up/down buttons: can't see the arrows on the buttons. Right, but when do you need to do that? Up button is arrow up, bottom button is arrow down. Could it be more intuitive? Rerouting also works here which I can't claim the Garmin ever did. Battery life is WAY better - garmin needs a recharge every couple of days, the Lezyne can run for a couple of weeks in comparison. Using your phone to upload a route during the ride is more useful than you might think. Once uploaded you don't need the phone connection but why bother, it doesn't waste any phone battery to speak of anyway. If it doesn't work, then it may be a hardware fault like the first unit I had. Cheers - I'll give that a try. I've been using one for about 6 months now and would echo most of what the review says except for the navigation. If you upload a .tcx file from Ride With GPS you get turn by turn navigation. that's interesting, i didn't try using a ridewithgps file. i'll investigate that. Cheers for that tip, I've updated the review. That is something I've been wondering about. Is it possible to use a computer instead of the phone? I'm kind of looking for a gps that provides turn by turn navigation without the use of a mobile phone. Lezyne has a dedicated website for uploading routes. I haven't tried it but I'll have a go later in the week. From the reviews I've read so far it seems that the mobile phone is needed either to upload the route or to select it for navigation at the beginning of the ride. To load a route to the Lezyne GPS you need to push it to the unit via the Lezyne Ally App. Also - whilst the latest firmware update has “off-line” routing (can still follow a route if your phone drops out of signal), you still need the phone to be bluetooth connected to the unit in order for the stored map data to be pushed to the unit. For those that do not have a smartphone or don’t like cycling with a phone, and want to be guided on a route by a GPS computer, then Lezyne is not their choice. Adopting this method is one of key reasons the Lezyne system comes down in cost and goes up in battery life, but Lezyne are happy with this direction and potentially losing just a handful of non-smartphone users for the navigation feature. We haven't had the usual Garmin / Wahoo battle yet but at £200 wouldn't the Bolt be better, or if you want basic functionality then the Garmin 25 at half the price? I also recommend to get the stand alone GPS, the additional sensors are nothing special and you can them later at bargain prices. Is the Android app working again yet? App store reviews are saying it wouldn't upload rides due to a certificate issue, so have avoided letting it update since old version works ok.
Is the Android app working again yet? App store reviews are saying it wouldn't upload rides due to a certificate issue, so have avoided letting it update since old version works ok.